At Toyota South we want you to find the perfect vehicle, and we'll work hard to make sure you do. Simply tell us what you're looking for and when it's available you'll be the first to know! All pricing and details are believed to be accurate, but we do not warrant or guarantee such accuracy. The prices shown above, may vary from region to region, as will incentives, and are subject to change. Vehicle information is based off standard equipment and may vary from vehicle to vehicle. Call or email for complete vehicle specific information. Please contact the internet department directly to confirm that the information provided on this page is accurate. As the possibility for data error exists, information listed on this page (such as inventory, options, color, pricing, accessories) could be incorrect. The available photo may not represent the actual vehicle & may be a stock photo. Options and color may vary. New Vehicles listed with Toyota South price includes the current Cash Back or Bonus Cash from (TFS), Toyota Financial Services as well as the dealer discounts off of original MSRP. Cash Back Incentives can not be combined with special interest rates unless noted otherwise. Additional discounts such as Recent College Graduate Cash or Military Rebate are not included in the Toyota South price and may be used by qualified buyers only. Not all consumers will qualify for the Recent College Graduate Cash or Military Rebate. The prices shown does not include sales tax, License Fee, $479 Dealer Document Fee or any special finance charges. All prices, specifications and availability are subject to change without notice. Contact dealer for most current information. MPG estimates reflect new EPA methods beginning with 2008 models. Your actual mileage will vary depending on how you drive and maintain your vehicle. Actual mileage will vary with options, driving conditions, driving habits and vehicle's condition. Mileage estimates may be derived from previous year model. Looking for a new Toyota model? You’ve come to the right place! 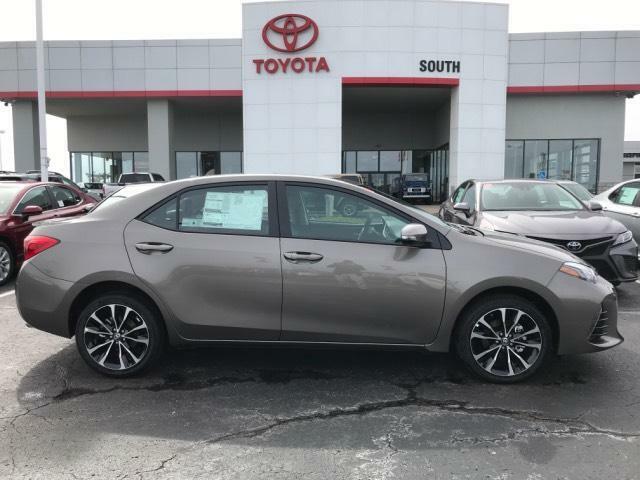 At Toyota South, we carry all of the latest Toyota models on our lot, including the 2019 Toyota Camry and the 2019 Toyota C-HR. When you buy with us, you can rest assured knowing that our Toyota service center near Lexington, KY will be there for any repair or maintenance needs you have down the road. Once you have located the model you want, come in to your local Toyota dealer near Winchester, KY for a test drive. We hope to see you soon!